5ive Star Gear Emergency Keychain Light With SOS | BUDK.com - Knives & Swords At The Lowest Prices! 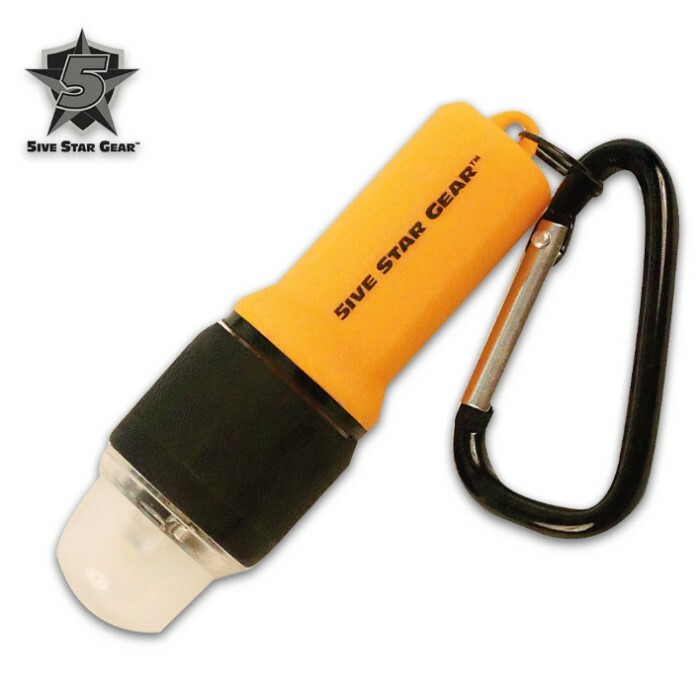 The 5ive Star Gear Emergency SOS Keychain Light is an absolute must-have emergency tool to carry on your key chain when you are adventuring outdoors. If you get into trouble, you have an SOS signal to alert help where to find you. A bright LED bulb has up to an 80,000 hours lifetime and the light features a constant and flashing SOS setting. A handy carabiner comes with the light so that it can easily be attached to your clothes, key chain or gear. It requires one AAA battery (not included).